The town of Davenport is named after Captain John Davenport, a former whaling captain, who founded the town in 1868. At the mouth of the Agua Puerca Creek, John Davenport built a 450-foot wharf to be used as a loading point for goods shipped up and down the state. For almost 30 years, the town was built and thrived on the export of timber, tanbark, cordwood, and cedar posts that were loaded onto small vessels for delivery. 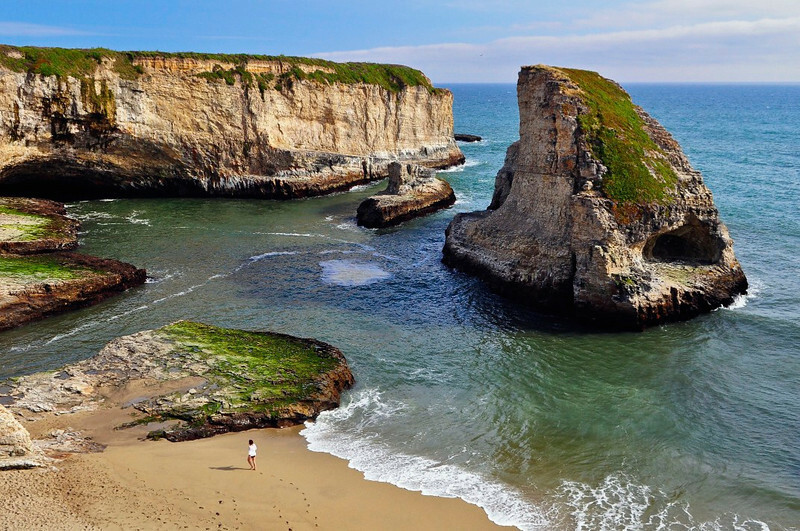 The wharf at Davenport landing was abandoned in 1880 due to the high cost of operation, and it is believed a bankruptcy in 1889 forced the Davenport family to Santa Cruz. In 1906, the Santa Cruz Portland Cement Company started operation in the town, and this revitalized the area and helped preserve some of the rich history. As travelers pass through town on their way up and down the coast, some may miss a handful of wonderful businesses within the local community. The Davenport Roadhouse & Inn is a beacon for travelers from near and far looking to make a quick stop for a delicious to-go meal or picnic, or for others staying a while to get back to nature and enjoy healthy and hearty food — all enjoyed at their own pace. The famous Lundburg studios is a premier art glass manufacturing company. For nearly a half century, they have produced some of the finest art glass of our times. They individually create an exquisite array of vases, scent bottles, paperweights, lighting and custom commissions. Both are must stops on the way through town.